This floaty embroidered dress wants to take centre stage. With layer upon layer of textured tulle, just try keeping it away from the dance floor. 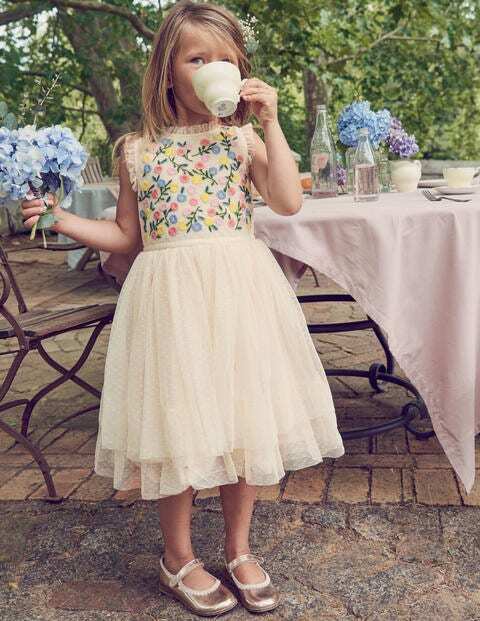 Luckily for mini wearers, the floral embroidery on the yoke and ruffles at the neck and armholes mean it's ideal for very special parties.